Wallets are like categories. So you can separate your business expenses with your personal expenses. Step 1: Go to the wallet home page, by tapping on the top left ‘Wallet’ button. Step 2: Tap on ‘Add wallet’ button. Step 3: In the name section, enter the name of the wallet. In our case ‘Vacation – Korea’, select whether it’s a business or personal wallet. Step 4: Done! Now it’s time to add in your expenses. Step 1: Go into the wallet you want to add an expense. Step 2: Tap on the red add icon. Step 3: Select Expense or Income at the top. Step 4: Enter the amount and select your category, in our case we’re going select ‘Travel’. Step 5: Enter a note or store name for reference, we’ll put ‘Plane tickets’. Step 6: Add a receipt or reference photo by using the camera button. Step 7: Tap on the save button on the top right. Done! 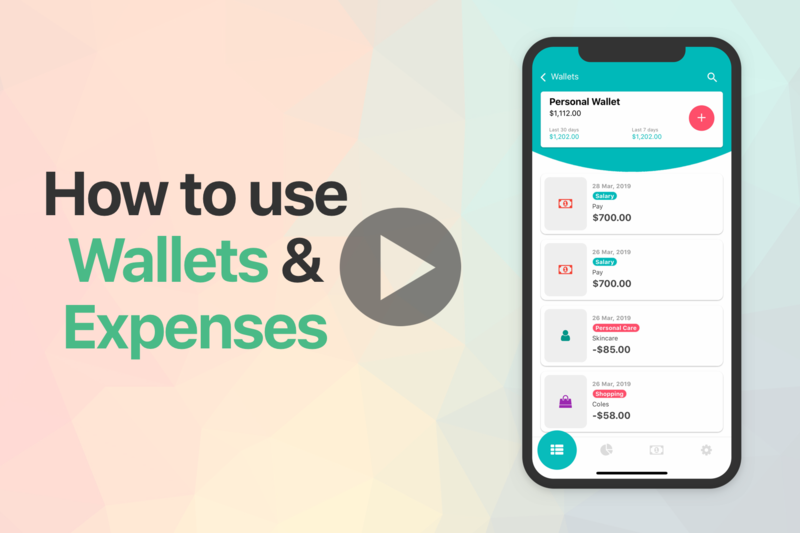 Download the free Expense app we made for small businesses and entrepreneurs and boost your productivity! We're working for you.. Probably from a small cafe somewhere. We've freed over 200,000 freelancers & small businesses from tedious bookkeeping. Thank you for your support. Bookipi is now available on iOS, Android, Windows, MacOS, Gmail Addon and Chrome Extension. Check out our browser Invoice Template. Check out our new Expense Tracker App. We're developing a Single Touch Payroll Software to support the on going needs for small businesses. Bookipi users: Vote for features!